In the U.S., dog bites injure about 4.5 million people every year. Children aged 5 – 9 suffer more dog bites than other youngsters. Children are more likely to get medical care for dog bite wounds than adults are. Individuals who have a dog at home are more likely to be bitten than are those living in dog-free houses. Americans who own multiple dogs are 5 times more likely to suffer bites than are non-dog owners. In adult age groups, males are more likely to be dog bite victims than are females. Across the U.S., about 4.5 million people suffer dog bites each year, sending some 885,000 of those Americans in search of medical treatment. The Centers for Disease Control and Prevention adds that approximately 30,000 people who were bitten by dogs have to have reconstructive surgery each year. Since about half of the dog bite victims seen in emergency rooms are children, the idea of injuries serious enough to warrant reconstructive surgery is especially distressing. If you or someone you care about has been bitten by a dog, you may be entitled to compensation from the animal’s owner to cover your medical treatment, replace wages you lost because you missed work, and other related expenses. Experienced professionals who can capably handle injury claims related to dog bites is what you’ll find in the Fort Myers dog bite injury lawyers at Associates and Bruce L. Scheiner, Attorneys for the Injured. In communities across Southwest Florida, residents rely on our Cape Coral and Naples personal injury and wrongful death attorneys for knowledgeable guidance about their legal rights when they’ve suffered serious injuries. 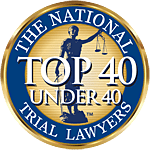 Over the past four decades our firm has built a reputation for providing aggressive representation when injury victims’ physical and financial well-being are at stake. In Florida, a dog owner is liable for restitution whether or not the dog has been known in the past to be vicious, as long as the victim was in a public place or was on private property legally. Additional conditions apply under the law, and your Fort Myers and Naples dog bite injury attorneys at Associates and Bruce L. Scheiner can evaluate your situation and provide you with professional advice based on your unique circumstances. Many people ask us if a dog owner is liable for injuries their animal causes to someone else’s dog, cat, or other pet. The Florida Statutes do address that situation and assign liability when an owner’s animal attacks a person, livestock, or any domestic animal. The statutes further define those terms. In dog bite cases, the law addresses many different factors that can affect liability. Those very complexities make it a wise decision to consult an attorney who is experienced in handling dog bite cases in Florida. At Associates and Bruce L. Scheiner, Attorneys for the Injured, our team of lawyers, medical experts, investigators and other professionals can examine the circumstances of any injury and determine relevant factors that are important in your case. Fort Myers dog bite attorneys at our firm also can help if you suffered non-bite injuries because of a dog. These may occur if you are surprised by a dog that barks, snarls, or lunges at you and makes you react in such a way that causes you physical injury. Dogs, especially large ones, can hurt people by jumping on them or pushing against them. If an animal knocks you to the ground, you may suffer cuts, broken bones, or even a serious head injury. When a dog owner’s carelessness or negligence causes you to be injured, you shouldn’t be expected to bear the burden of expensive medical care or lost income. Our Cape Coral and Naples dog bite lawyers will take action to protect your rights and pursue damages on your behalf. Children are at higher risk for dog bite injuries, and for suffering potentially disfiguring damage, when bites affect the head, face and neck. The thought of your beloved child enduring a lifetime of shame because of a severe scar is devastating. If your child has been harmed by someone else’s dog, call Associates and Bruce L. Scheiner. Fort Myers dog bite injury attorneys at our firm offer you a free consultation to discuss your case. If we represent you, Associates and Bruce L. Scheiner, Attorneys for the Injured, will build your case free of charge. If we don’t recover monetary damages for you, you owe us no fees.